One complaint about the modern world is that there is a severe lack of jetpacks, with such jetpack-lessness often being quoted as an example of how little the world has changed or science and technology has lived up to its promises. Sometimes, however, I am shocked at how much the technology has changed, and how quickly it has become embedded in our lives. 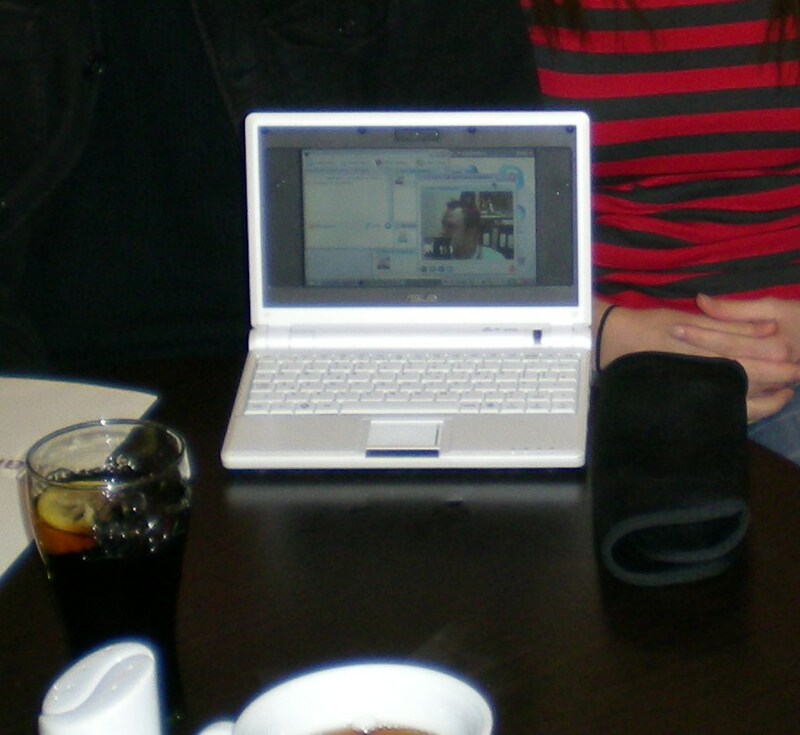 This was most noticeable last week when, during a Statistical Cybermetrics Research Group lunch in a local cafe, I decided to Skype a Finnish colleague. With the cafe offering free wi-fi, and the Eee PC being ever present in my bag, it was possible for Kim to virtually join us for free. It no longer requires top of the range technology, and even a place like Wolverhampton has free wi-fi appearing all over the place (I can think of about 6 off the top of my head). The Google logo informs me that it is Alexander Graham Bell’s birthday today (maybe they listened to my logo suggestions), but the world has changed a lot since he made his first call.